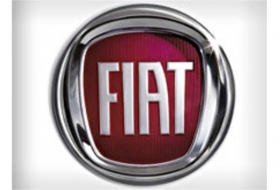 Fiat S.p.A. held the top spot in Brazil's auto market in October with sales of 62,946 new cars and light trucks in October, down 5.8 percent from the month before. No. 2 seller Volkswagen AG saw its unit sales grow 2.2 percent to 61,351. GM sold 55,910 vehicles, down 5.2 percent month-on-month, while Ford Motor Co. sold 29,474, an 8.6 percent jump from September. Total sales of new cars and light trucks fell 1.3 percent last month from September to 303,200 vehicles, national automakers' association Anfavea said. Brazil's automobile production rose sharply in October, rebounding from a slump the previous month, as a surge in exports helped offset slower domestic sales. Output in Latin America's largest economy rose 5.5 percent month-on-month in October to 321,800 new cars and trucks, after a 9.1 percent tumble in September, Anfavea said. Production rose 1.5 percent from a year earlier. Exports volumes surged 11.6 percent in October from September and jumped 50.3 percent from a year earlier to $1.32 billion, helping offset the softer domestic market. The trend in production is unlikely to hold for the coming months as vehicle inventories in the domestic market remain at their highest level since 2007. A 7 percent gain in the nation's currency threatens to make Brazilian cars more expensive in overseas markets. "Accordingly, the perspective of continued high inventories ... reduces the probability of a significant growth in production in the sector over the coming months," Credit Suisse economists led by Nilson Teixeira wrote in a report.